Bruno is a happy boy who loves being made a fuss of, and he will make a lovely companion for his new owner. He likes going for walks and loves to have a good run around our paddock, and he prefers a good sniff around rather than chasing a toy. He does enjoy spending time curled up in his comfy bed and is always keen to get a nice doggy treat. He isn’t too interested in other dogs so we think he would prefer to be the only dog in his new house, so he can get all the fussing that he deserves. 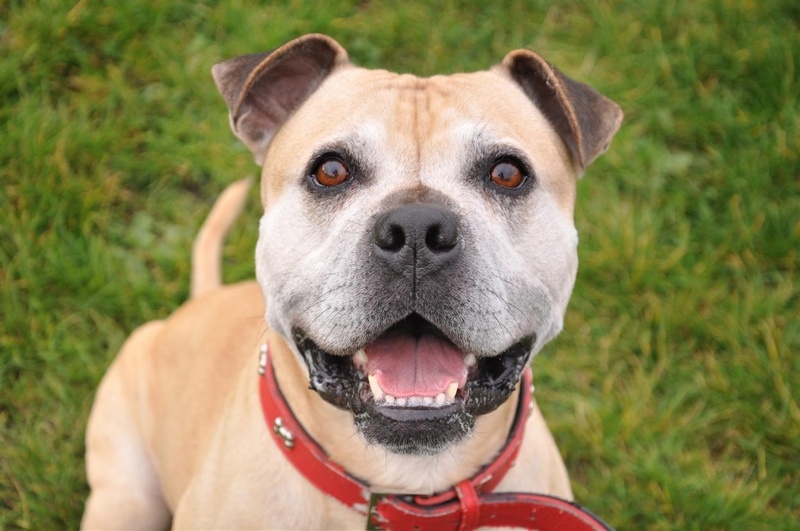 Bruno would benefit from an experienced owner who has had a strong dog before, and he may be suited to living in a home with high school aged children.